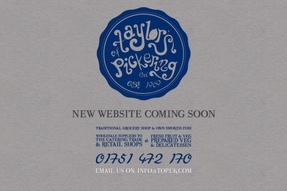 Taylor's of Pickering fresh fruit and vegetables. Traditional Grocery Shop & Own Smoked Fish both retail and wholesale. We supply the catering trade and retailers with fresh and prepared fruit and vegetables. Our shop in Pickering has a wide range of fresh fruit and veg as well as fresh cut flowers and plants. We also have a deli deprtment for more specialist ingredients including fresh herbs and spices along with fresh fish some of which is smoked in our on site smokery. Full delivery service available for businesses within the local arae, please phone for details.